is a blend of experienced trainers, performance consultants, and seasoned business leaders. We draw upon the strengths of individuals from various cultures, experiences, and backgrounds. Our energetic team of dedicated professionals provides spectacular service and client-driven results. Mark Kremen and Robert P. Kane founded Training Unlimited in 1999. Together, they have over 30 years of training, consulting, communications, and human resource management experience. 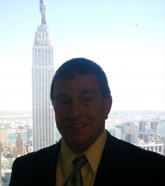 Mark is a senior partner with Training Unlimited, LLC, a firm he co-founded in 1999. During his career, he has provided thousands of participants with the knowledge, skills, and abilities they need to be successful in their jobs. Mark is known as a professional who "makes it happen." He brings professionalism to every situation from facilitating a class in customer service to consulting on complex human resource issues. His energy is focused on helping clients achieve success through innovative training programs and human resources initiatives. His focus is on customer service, leadership, team building, communications, stress, human resources consulting, motivational speaking, developing and facilitating professional development programs, and performance consulting. Prior to founding Training Unlimited, Mark gained extensive management and leadership experience within the training and human resources fields. During his tenure at Merrill Lynch, he managed technical and professional development training for 6,000 client/sales associates throughout 500 U. S. branch offices. As the training officer for Sovereign Bank, he managed the assessment, delivery, and evaluation of training for 115 branch offices and service support groups representing 1,500 employees of the regional bank system. He was also the director of human resources for Palace Amusements in Asbury Park, NJ, home of the famous Tillie. He also is the co-author of "Putting Your Best Foot Forward: School to Work Program," a program utilized by thousands of high school and college students to help prepare them for the job search process. Mark holds a Master of Science in Industrial/Organizational Psychology from Radford University in Virginia and a Bachelor of Science in Psychology from Longwood College, also in Virginia. Mark is active in the Human Resources profession. 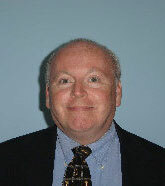 He is Past President (2008-2009) of the Jersey Shore Association for Human Resources. He currently serves as a member of the Executive Board. Previously, he was a board member as certification director with responsibilities for helping members achieve the professional PHR or SPHR certifications. He also holds membership in the Society for Human Resources Management (SHRM). Bob is a senior partner with Training Unlimited, LLC, a firm he co-founded in 1999. His positive energy and enthusiasm have helped to inspire clients both inside and outside the classroom. Bob provides practical solutions, proven tips, and common sense to help organizations prepare for the challenges of today's competitive marketplace. His professionalism and experience reflect in his actions. Whether in the classroom or the convention center, he engages his audiences and brings a sense of excitement. His focus is on customer service, communication, stress, and team-building issues. Prior to founding Training Unlimited, Bob built a successful career within the financial services industry. During his tenure with Merrill Lynch, his key roles included vice president - organizational development and quality manager, where he managed the marketing and implementation of organizational and cultural changes to 2,800 employees across 700 branch offices. Additionally, he was the administrative services manager for the internal training group with responsibilities for managing administrative, communications, human resources, facilities, and technology functions across multiple sites. Bob earned a Bachelor of Arts in Journalism from St. Bonaventure University in St. Bonaventure, New York. Bob is active in the human resources profession. He is Past President (2010-2011) of the Jersey Shore Association for Human Resources. Previously, he has served as a member of the Executive Board and as Second Vice President. In this role, he chaired the Awards Committee and has implemented three scholarship programs to help members continue professional development and to support postsecondary education for members' children. He also serves on St. Bonaventure University's National Alumni Association Board as Secretary.